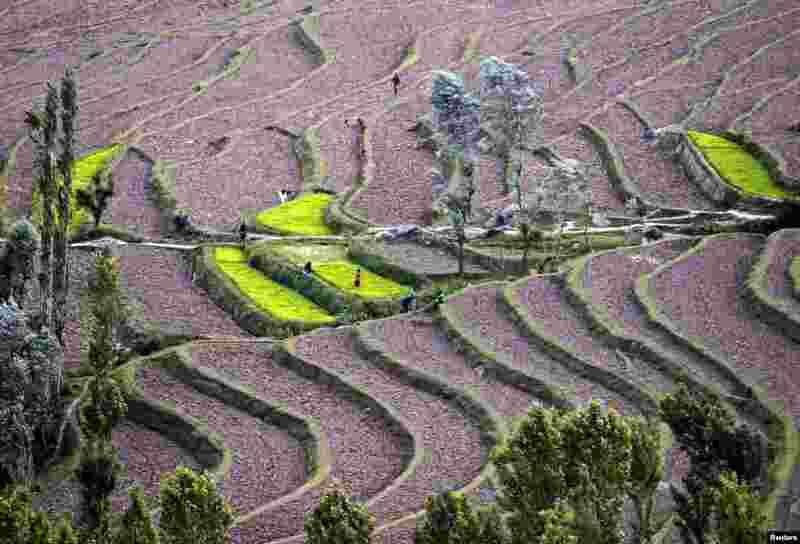 1 Kashmiri farmers work in rice fields at Bandipora, north of Srinagar, India. 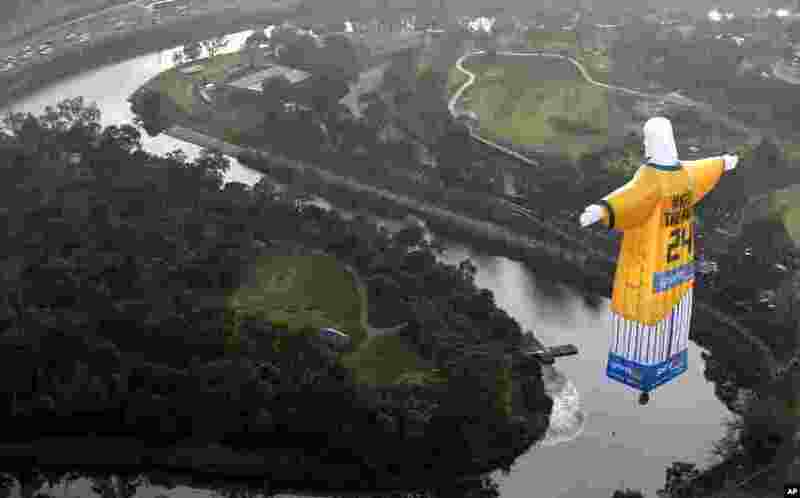 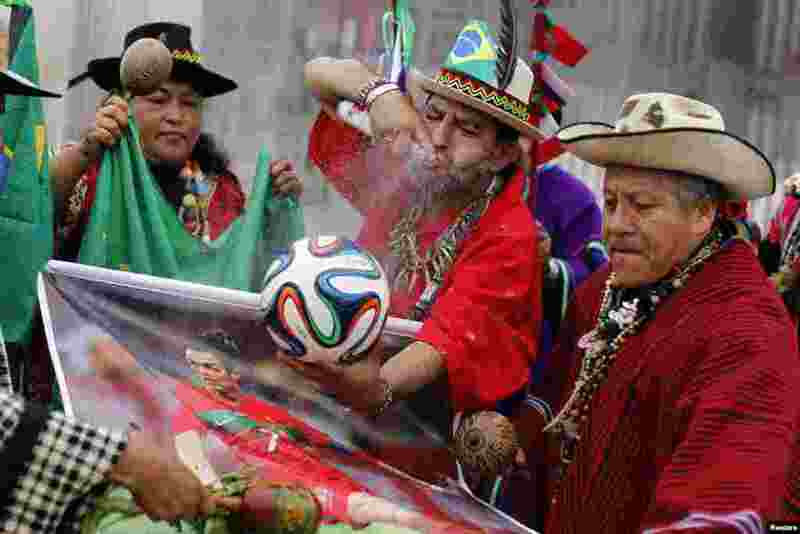 2 Peruvian shamans perform a ritual while holding the official ball for the 2014 World Cup and a poster of soccer player Cristiano Ronaldo at the National Stadium in Lima, June 10, 2014. 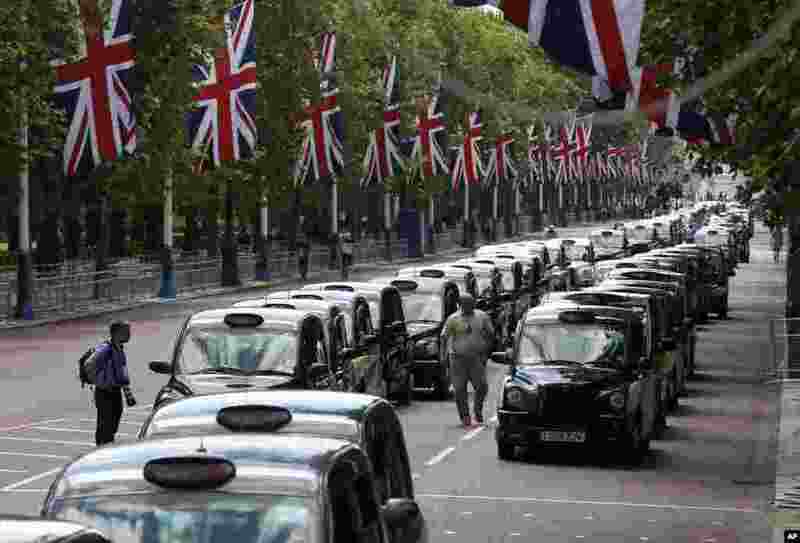 4 London taxicabs line up along The Mall as taxi drivers block the street to protest new technology they say endangers passengers.